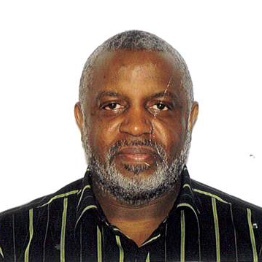 MARCUS R. FREEMAN, 67, went to his home of eternal rest on March 20, 2019. He was born March 15, 1952 in Akron, OH where he remained a lifetime resident. Marcus was a graduate of South High School had worked for Hope Homes for about 10 years and retired from Northcoast Behavioral Health System with over 30 years of service. He enjoyed going fishing and was a loved by all who knew him and will be greatly missed. Marcus was preceded in death by parents, John W. and Louise Freeman, daughter, April - Harris; brothers, George Conway and Lemuel Freeman he leaves To forever cherish his memory, his beloved wife, Kimberly Freeman of Akron; daughters, Erin of Akron and Jennifer Freeman of TX; brother, John K (Rosetta) Freeman and sister, Vanessa Freeman, both of Akron; nine grandchildren, one great-grandchild and a host of other relatives and many friends.